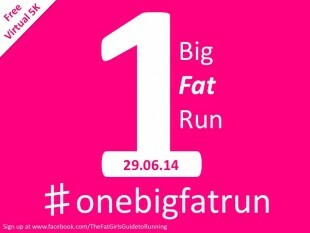 My blog is called the Fat Girls Guide to Running, not the Fat Girls Guide to Walking and for very good reason. I’ve been walking since about 1979, so I know how to do it and I’m kinda good at it…I don’t really need to think about it anymore, I rarely fall over and I can walk for hours on end without getting out of breath – yet I have still spent close to 20 years of my life either overweight, obese and at times even morbidly obese. Its not even that I have an aversion to walking, I do it every day without fail…sometimes quite a lot. When I was at Uni for example in Winchester it was all hills, a 30 minute walk into town and an hours walk back, more if I’d been on the vodkas. There have been times in my life that I have walked extraordinary distances, like the time I walked from Romford to Forest Gate (about 10 miles) in the early hours of the morning after spending my cab fare on booze during a night out, and when I walked from Forest Gate to Walthamstow (roughly 5 miles) aged 13 after spending my bus fare on hubabuba and panda pops after school. You get it right – I can and I do walk…and even more so now I have a child. I do have a car but it drinks petrol like nobodies business and for short distances it’s not worth the hassle, and getting on public transport with my pushchair is a nightmare…so I walk quite a bit these days. So when I was approached by the company FitBug asking me to try out their pedometer type product “The Fitbug Air” as part of a promotional trial for mums under a “fitbugmums” hashtag, I was game…but if truth be known a little sceptical. The product arrived very promptly, and although it looked cute with its pink casing and its flashy little phone app I was still not convinced. It’s just a jumped up little pedometer right? I have had a pedometer in the past and after the initial week of trying to fit in 10,000 steps I have given up, besides why buy one when you can download one onto your phone for free. But hey I am not in a position to be so picky these days, and even if it allowed me to lose a single lb then that would be great so I decided to give it ago. I missed out the memo that said in the first week just walk normally, ie don’t attempt to do extra, and it was just a coincidence that the first weekend I wore it I was taking part in something called The Longest Park Run, where I racked up over 30,000 steps. How the hell were FitBug going to work out a baseline and set me a realistic target? I also struggled to log my food. Firstly because you couldn’t do this via the phone app (apparently that’s being developed), and secondly because I am trying to get away from calorie counting and am instead eating proper healthy real food and in quantities decided by listening to my body a little bit more. So actually it was going to be impossible for FitBug to set me a realistic target. After wearing the device for 2 and a bit weeks a group of mums were invited to an event to meet the peeps behind the device and give our verdict. We had been tweeting our steps on a daily basis, and trying to stay in the pink, a term used to describe the coloured graphic displayed when you exceed your target – mine a simple 10,000 as I wasn’t playing the game properly by logging my nutrition. I found the day a real eye opener. It was nice to meet some other mummybloggers…although I wouldn’t describe myself as one of them, I haven’t brushed up on my spontaneous irony or developed my happy mummy voice enough yet…but maybe it will come with time. The morning was very interesting, finding out about the development work that had gone into the device, learning about its accuracy and the research that backs up the product. There was also a fantastic talk from fitness guru Joanna Hall about a concept called “Walk Active”, in fact we were soon learning about this in practice out in the sun. You know I said earlier that I knew how to walk? Well clearly I didn’t…but I do now and WOW, what a difference it is making to my posture and also my attitude to walking. A few months ago I wrote a post called “How to run with a baby” and one of the suggestions is to approach walking with your pushchair as if you were going on a run…but this new approach takes this idea to whole new level and I find myself bouncing along the road now with a spring in my step. I can feel muscles working in my legs that don’t normally get a work out when I just nip down the road to the library or whatever. Seriously check out Joanna’s YouTube videosto get an idea of what I’m talking about. But anyway, back to the FitBug. If truth be known I have developed a bit of a secret love for my little pink device. It covertly comes everywhere with me now…seriously I attach it to my knickers when wearing a maxidress, and even my bra on occasion. Its been to a music festival with me, on a 10K run, shopping, the gym…seriously if it was waterproof I would wear it in the pool…just to rack up those extra steps. The device measures your steps and is able to decipher whether they are normal steps or aerobic steps (ie running or zumba or whatever) as well as other data such as calories and distance but what makes this different to other pedometers is the fact it sends data via bluetooth to my account which can be accessed via the phone app or the website, and I suppose the fact that I am accountable via the online support on twitter. I am more likely to get out of the house for a walk on my lazy days, and even found myself walking to a park miles away in the scorching sun the other day just to try and get my 10,000 steps. I think the fact that I am quite advanced in my weightloss/fitness journey means I am probably not really the main type of consumer this device is aimed at, but for anyone starting out who perhaps doesn’t have the confidence to run or go to the gym, then this is perfect. The process of logging your food intake is a no brainer if you are starting out, it does work – I am personally just sick of it. The website has a wealth of nutritional information and recipe ideas, and the weekly emails and online support from the FitBug team is second to none. So I would whole heartedly recommend giving this device a go if you want to kick start your weightloss and fitness. I haven’t been using the device long enough to notice any weighloss or inchloss results, and the fact that I am using it alongside other exercise and eating plans means it wouldn’t be very scientific…but it has completely given me a new respect for walking, something thanks to FitBug and Joanne Hall I am doing a lot more consciously these days.